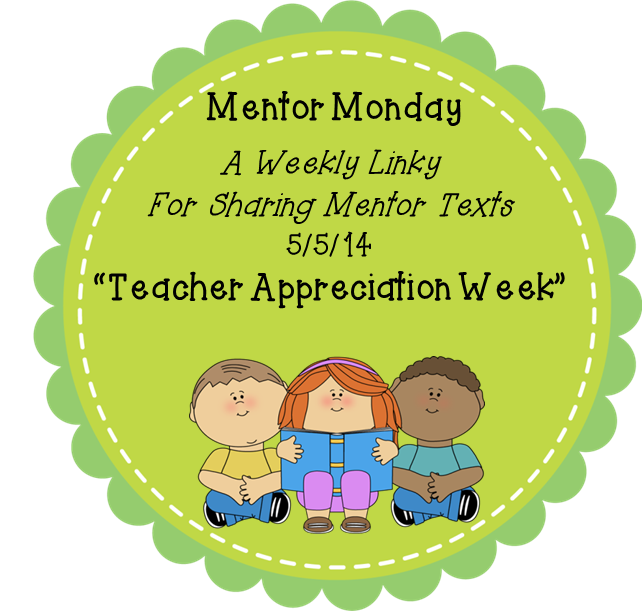 Today’s Mentor Monday at The Reading Tutor/OG is about the teachers and/or parents who helped instill a love of reading in your heart. I love remembering the people who brought books to life for me! When I was sick as a child one day, my mother read me chapters of The Secret Garden. I hated missing school. I don’t recall the being sick part, but I do remember being tucked in to bed and my mother sitting by my side reading me the story. It became magical as she read to me. I also remember family time as I gathered with my brother and younger sister. The books I recall in those memories are the books from C.S. Lewis’ The Lion, The Witch, and The Wardrobe stories. All of them. We read together. I remember being scared during The Silver Chair. I remember being a little bored during The Horse and His Boy. I remember loving The Magician’s Nephew so much that I wished I could read it again for the first time. What fond memories! As this is also supposed to be about teachers, I feel it’s also important to recall the teachers who helped me to love reading. I can’t remember detailed books we read in the different grades. I do remember my kindergarten teacher’s rocking chair. I know we had reading time with her. I’m pretty sure we read E.B. White in second grade. But my most memorable teacher-book moment was in third grade. I had a bad day. I was normally a good kid. I said “shut up” to the fifth grade teacher and had to “stand at the wall” during recess. (That is, I had to stand face to the brick wall during the entire recess period, which was probably about 20 minutes but sure seemed like hours.) This was the one and only time I was dealt this punishment as a child, and it was very disturbing to me. I remember being in tears. I was not thinking clearly or feeling well at all when it was time to come in doors to go back to Mrs. Gray’s third grade classroom. Somehow, though, Mrs. Gray knew how to reach me. She helped calm down. She gave me a picture book, a new book that had just come in to the library: Two Bad Ants by Chris Van Allsburg. I remember that moment. I sat on the floor in the hall, leaning against a locker. I was outside the door of my third grade room, crying hard. Mrs. Gray crouched down and handed me the book. She told me it was brand new at the library, she told me I should read it, and then come in to class and tell her what I thought of it. Think of it! Me, the first person to read a brand-new book! I felt so special. I felt so important. I sat, I read, and I loved it. And I felt better. It was just what I needed. Those ants wanted to have an adventure, but really they were in danger of that hot coffee and that toaster! Watch out! I love the power of books! What teachers have impacted your love of reading? What books from your childhood have made a difference for you? What do you have fond memories of? I appreciate all the teachers out there! To celebrate Teacher Appreciation Week, today is a sale at Teacher’sNotebook (and my Coral Reef Systems is a daily deal too!). Tomorrow and Wednesday there is a sale at TeachersPayTeachers. If you signed up for my newsletter, you got a great deal there too!